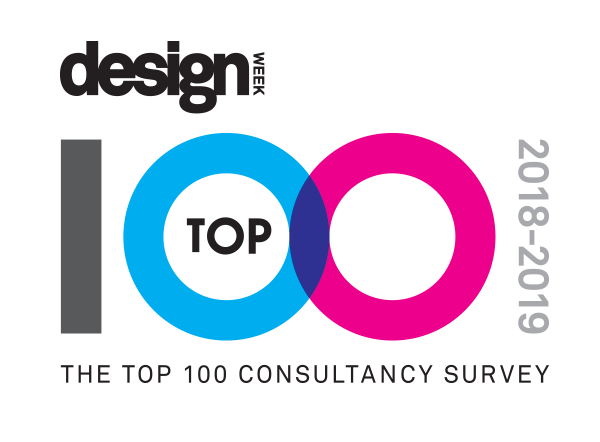 Design Week’s Top 100 consultancy report is a definitive ranking recognising the most successful design businesses in the industry. Providing a detailed and holistic analysis of the financial state of play, it ranks the 100 most successful independent UK design businesses across all sectors, based on total fee income, while also spotlighting, growth, turnover, projections and staffing levels. Having run for more than two decades, it remains the only source of market intelligence detailing the strategy, financial health, head count and fee income per head of the major UK design consultancies in an industry worth some £76.9bn per year to the UK economy. The research, creation, production and distribution of the report requires 370 staff hours across our senior research, editorial and production teams. There is a high demand for this information from independent design consultancies, larger creative groups and networks, and suppliers into design consultancies, as well as brand-side in-house design teams. We are committed to developing the data, analytics and insight that the report contains in the future. In return for this investment, we charge for access to this high-value intelligence by offering you the chance to purchase a PDF copy of the report for wider distribution within your organisation so that you can access the raw data for your own analysis. Unlike similar rankings, the Design Week Top 100 is independently audited by our accountant partners Kingston Smith, making it a trusted go-to resource for designers and design buyers. We’re shifting things round in the Design Week calendar, which means that this is the 2018-19 edition. Inside we look behind the statistics to see who’s making the money, who’s moving up the table and who’s dropping down. Each market sector is broken down and analysed revealing the leading consultancies in each discipline, and we spotlight the most efficient consultancies. We have also spoken to a selection of Top 100 consultancies for business tips and advice as part of exclusive business features on efficiency, recruitment and workplace culture. Maeve Hosea looks at what makes an efficient studio and why it’s important, Emily Gosling finds out how you can build a young diverse workforce and find designers who haven’t come through the traditional university route, and Nicola Smith reports on how to retain an independent culture at a growing business. Take a look at the rankings here. If you want to see the full report you can purchase a copy here.